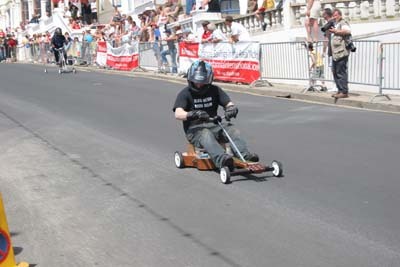 DERBY*GOKIT® was used to build ALL racers shown on this page. 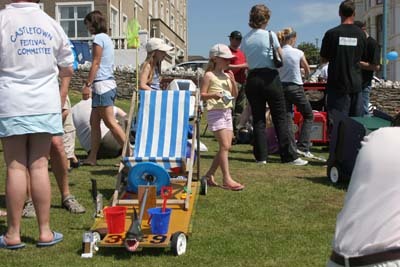 This page was included to show how adults can enjoy Gokit as well. 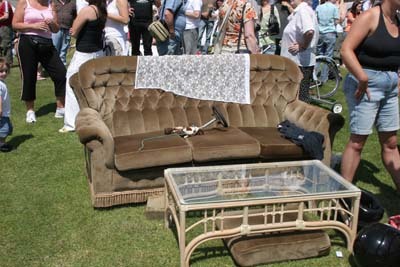 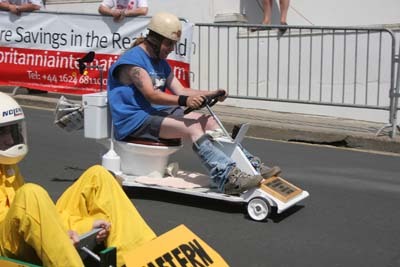 can see the steering wheel. 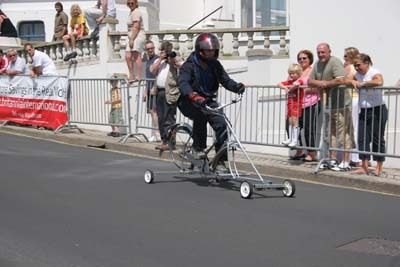 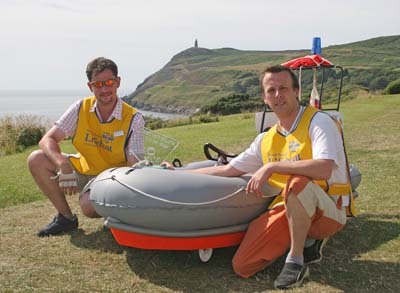 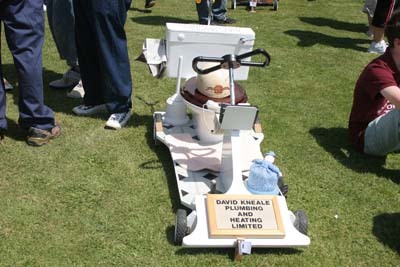 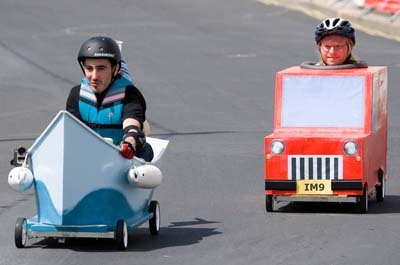 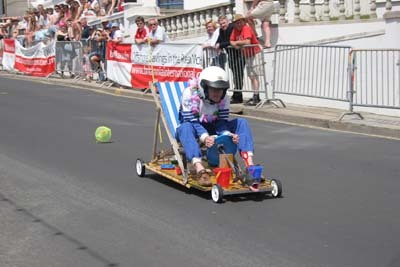 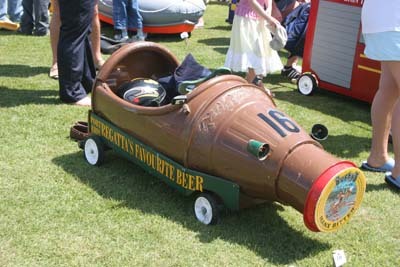 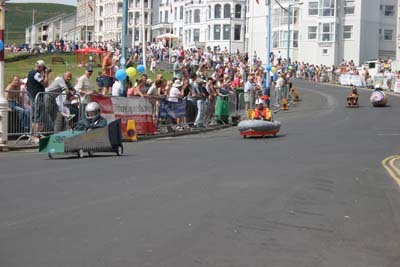 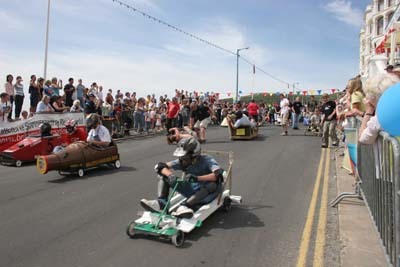 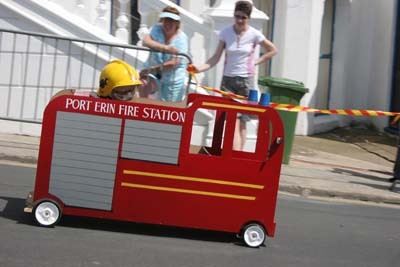 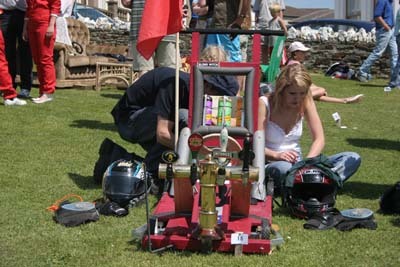 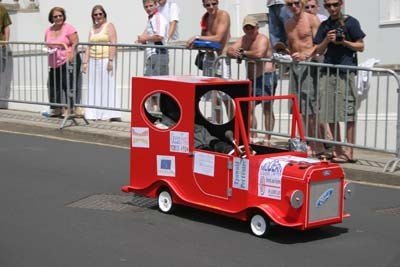 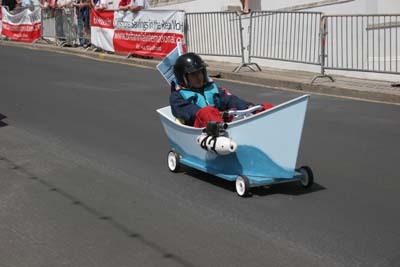 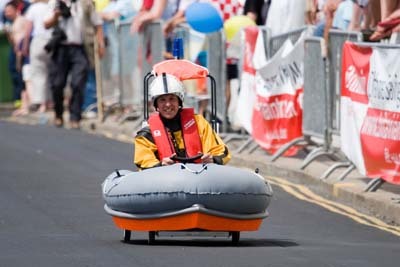 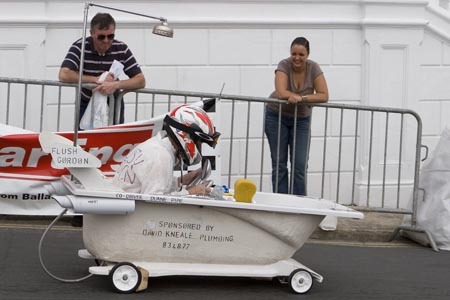 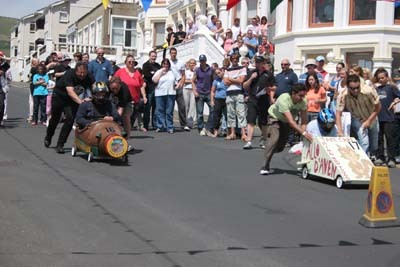 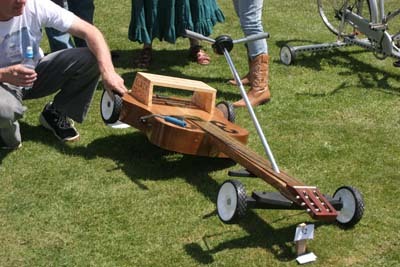 Port Erin Regatta Soapbox Derby, Isle of Man, UK.